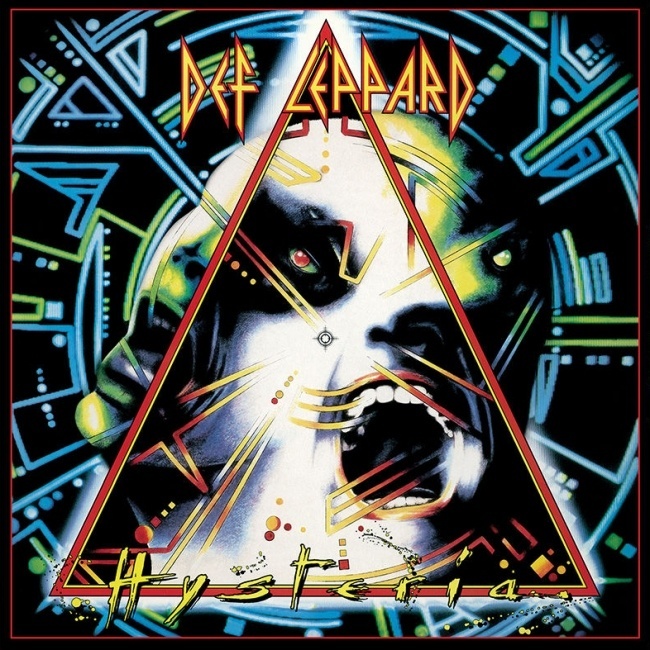 Def Leppard's classic Hysteria album was certified 3 times platinum in the USA on this day in 1988. On 14th January 1988 it had sold 3 million copies after two singles 'Women' and 'Animal' had been released. Two days later the third single 'Hysteria' entered the chart at Number 66. In the week of 14th January 1988 the 'Animal' single was at Number 24 (it had peaked at #19 on 26th December 1987). The album itself was at Number 10. By 4th January 1989 it had sold 9 million copies having gone 8 times platinum in late November 1988. By May 1990 it had sold over 10 million copies in the USA alone and by August 1998 reached over 12 million sales there and an estimated 20 million worldwide. Read some comments about this album below and a comprehensive Making Of Special from August 2016. August 2017 will see the 30th anniversary of the band's most successful and best known album. In November 2016 Phil Collen revealed that this occasion will be commemorated in some way including adding a few more songs from the album into the live show.